You had the best intentions of filing your taxes early, but maybe you weren’t able to locate the correct forms, perhaps there was an unexpected life event, or you realized you had inaccurate information. 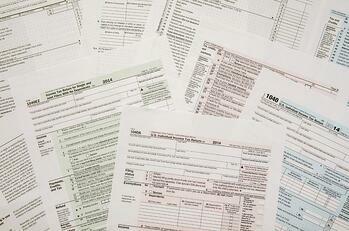 Whatever the reason may be, now you need to file a tax extension and there a few options available to you. Filing an extension is free; all you need to do is submit Form 4868, either electronically or by mail, before the April filing deadline. If you are late filing your taxes and you don’t submit this form, you could potentially face a fine of up to 25% of the tax due. After you receive notification that your extension has been approved, you will have until October 17, 2016 to file your forms. If you owe money and are unable to pay, this type of extension is probably not the best option because you may have to pay penalties or additional interest on top of what you already owe. Instead, look into a shorter extension, of 60 to 120 days, which have lower-rate penalties and interest. You can also set up a payment plan with the IRS and make monthly payments until it’s paid off. Finally, you can take out a personal loan with Cyprus to pay your taxes on time and have a much smaller interest rate and with no penalties. There is still some time left to organize your taxes and as a member of Cyprus Credit Union, you can receive discounts on some of the most popular software for your tax preparation needs. Check out our website to find out how to save $15 on TurboTax and $30 on Jackson-Hewitt.